Are you a parent of baby but love camping or hunting? Are you in fear of getting little-loved one taking for camping? Don’t get nervous. It is as easy to keep baby in camping or hunting as you raise him in the home. A detail and pre-planned list can ensure much amusement outdoors. Don’t hesitate to take all the necessary precautions with you because in jungle or mountain will find nothing for assistance. However, the checklist for camping with toddlers will help you to know more and use your time out more wisely and interestingly. When you’re going to camp with your baby, the safety of the toddler is the main concern. Here, baby carrying backpack will be special and obviously essential addition to your checklist. A baby carrier will help you to carry your baby when you walk or hike. Also, the backpack will ensure to be attached to the baby. Nonetheless, you can enjoy the camping with full rhythm. You need to use a different backpack for different purposes like hunting backpack, hiking backpack, travel backpack or baby carrier backpack. Check Backpackreviewed for backpack buying guide. Drinking water is no longer available in all the places especially in the jungle or in the hills. Also, scarcity of drinking water can cause harmful diseases that lead to the death. So, ensure pure and safe drinking water in the camping, you must include a water purifier in your camping checklist. It should be a wise decision to take all the bay comforts along with you when you take your baby to the camping. However, bring all the available gears with you to ensure the much amusement of your littlest loved one. A blanket will be helpful in the cold weather as well as to prevent cold-related diseases. Carrying sleeping bags depending on the age and size of the toddlers. The littlest baby shouldn’t be slept lonely in his bags rather sleep with the mom or dad. Otherwise, you can get a separate sleeping bag if you want your baby near to you. As a result, he can sleep in the tent near the adults. You can’t but take clean towels in your checklist for camping. But that is not far enough when you take your baby with you. A clean towel has versatile usefulness from napkins to diapers. So, try to take as many as you can so that you won’t regret later for more towels. 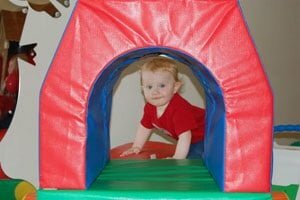 You’ll get free time to enjoy by taking a portable play yard for the toddlers. But taking a play yard depends on the age of the baby. It’ll add much amusement for the baby to play by itself without disturbing you. Be sincere to use the portable playground when you are near the baby. Not only in camping but also for every purpose, first aid kits are part and parcel of your daily life. So, you can’t forget to take well-prepared first aid kits when you’re in camping. It lets you minimize the slight wound or injury in camping. Sometimes, it can be a lifesaver from severe injury. Baby walker can be a great inclusion in your checklist if your baby can walk. It can help you to work little things by keeping baby inside it. On the bright side, a baby walker helps the baby to walk on the plain land where you’ll set up the camping tent. Moreover, you’ll feel free as well as get amusement when you see your loved one walking without you. In jungle or hills or mountain, you’re not allowed to dump stools anywhere according to your wish. It will harm the environment which in the long run affect you. So, better to carry a portable potty cleaner for the baby. It’ll help you to get to dump the stools in the garbage. You can’t make a mistake such as to forget about taking a better tent. I’ll suggest you invest efficiently in the gears like the best tent. The tent is the ultimate shelter to stay at night. So, don’t regret at night when cold will attack you in camping or sunshine hit you much. A better tent can save you much from all the odds of nature. You can bring some familiar toys along with you for your baby to play. The outdoor toys will help him to cope with the strange place. Also, the toys, he plays regularly, need not make him learn how to play. It will give you spare time which let you discover something new. Specialist says mat will be an essential part of the checklist of camping. Especially, when you have a crawler or early walker, it will let him play within a known place. The mat can also be used as a family mat for sleeping or eating place for the adults. You can use it along with the portable play yard so that your baby can sleep or play when you’re on the hangout. Camping with a breast-feeder is no longer a hard job. You just have to feed the baby when it is a high time. When the baby is relying on solids, they can’t only live on milk but with snacks and meals. Here, snacks can be a great option on your checklist when you’ve toddlers. Sometimes, the adults can also take snacks such as cereal, prepared veggies, fruits, dehydrated fruits, instant oatmeal and trail mix. Last but not the least on the checklist, and probably the most important are the fire and light. Without fire and light, you can’t think of camping. The light will help you find the beauty of the night. On the bright side, the fire will help to warm you in the cold weather or to cook during camping. Only the checklist can’t make your camping full of amusement. You’ve to follow some pro instructions such as co-sleeping with infants and toddlers makes you tension free. Also, never be over ambitious for a night trip during camping when you’ve kids with you. You needn’t follow the daily routine but doing the daily chores make you fresher. And finally, never go a long distance from home and put your sugr in trouble.